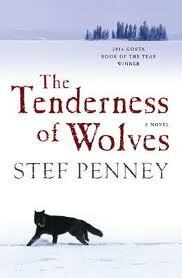 ‘Tenderness of Wolves’ is set in a remote, snow-covered, isolated part of Canada. The small community the novel is set in seems uninviting and cold (and I don’t just mean in terms of the weather.) The main story is told through Mrs Ross’ eyes, who in the opening chapter of the book finds the mutilated corpse of one of her neighbours. She then adds together 2 + 2 to make something other than 4 and proceeds on somewhat of a wild goosechase though this harsh, unforgiving land in search of her son who she believes is involved in the murder somehow. She takes with her a guide, and ‘their’ story then becomes entwined in the main story of the search of a murderer. More characters then come into play – the people left behind in the village, Francis himself (the ‘missing’ son), a Native Indian family, and a small group of men (one bumbling, one thirsty for blood, none trustworthy) from a fur-trading company who have their own ideas as to how things need to be handled… and running along in the background is the story of 2 missing children from the past, who people believe were eaten by wolves as they were never found. The book is very clever in that all these stories entwine effortlessly and the characters (and there are a few ‘main’ ones) are constantly juggled by the author. Each story blends into the other effortlessly and I found myself engaged in the book pretty much from the start. However, Mrs. Ross is quite annoying at times and I didn’t warm to many of the characters, which is perhaps the books’ greatest flaw. The wilderness and harsh, unforgiving climate seeps through the book and is very visual. We don’t really get to meet many wolves though and I question the book’s title. There is a scene where a wolf comes face to face with one of the characters (incidentally, another annoying female character!) and he chooses not to kill her. This is perhaps the only reference I found to any ‘tenderness’ on their part. 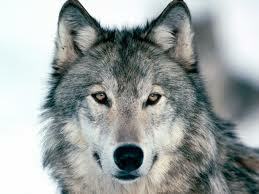 Maybe, like I mentioned in an earlier posting, the wolves the author speaks of are actually the characters themselves?